There are many definitions of DevOps which adequately explain some of the aspects that are important to find flow in the delivery of IT services. 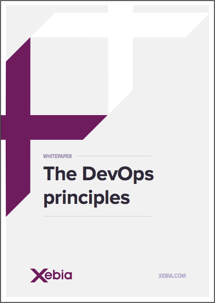 Instead of trying to state their own comprehensive definition of DevOps, our experts highlight in this whitepaper six principles deemed essential when adopting or migrating to a DevOps way of working. Download this whitepaper and find out what it takes to create lasting and impactful transformation for your IT landscape.